10 gauge, Kel-F Hub Needle, custom length (0.375 to 12 in), point style 5 or AS, 6 pack. Specifiy point style and length. 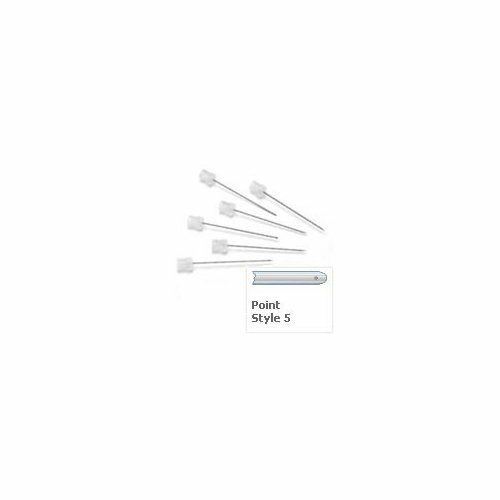 Home / Syringes / Replacement Needles / 10 gauge, Kel-F Hub Needle, custom length (0.375 to 12 in), point style 5 or AS, 6 pack. Specifiy point style and length. Part No: HA-775201 Category: Replacement Needles. Tags: 10 gauge, 6 pack, hamilton, kel-fl hub, point style 5 or as, replacement needle. Kel-F hub LT or TLL connectors. The needles are 304 stainless steel (sst.). Standard needle length is 2″ / 51 mm.